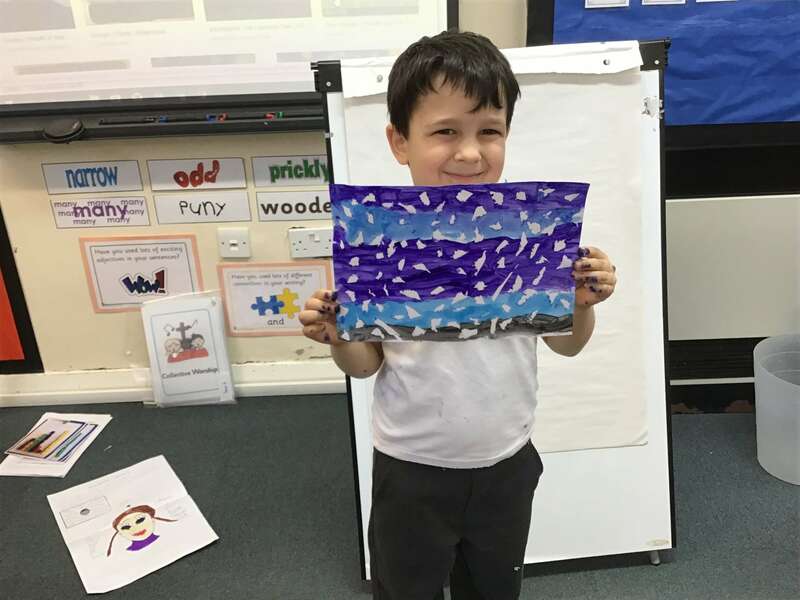 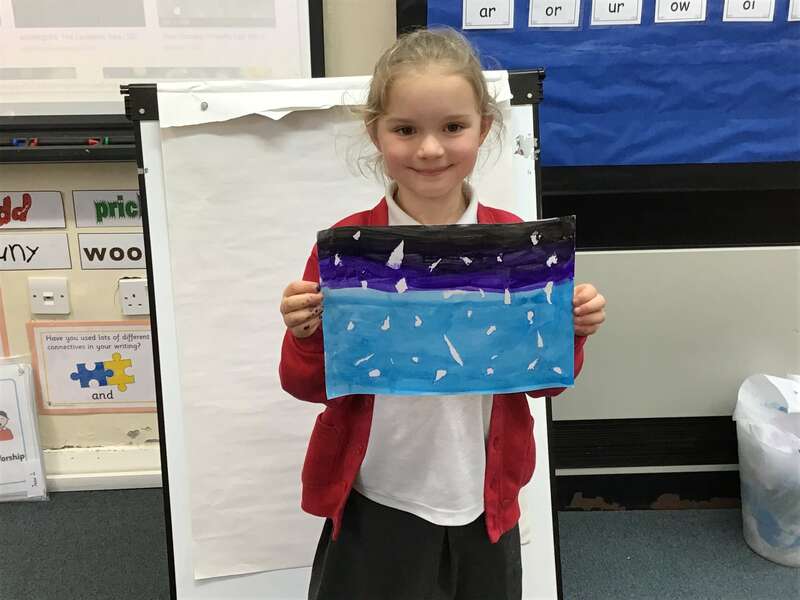 Year 2 have produced their own interpretations of Georgia O’Keeffe’s Starlight Night (1963) in art and design. 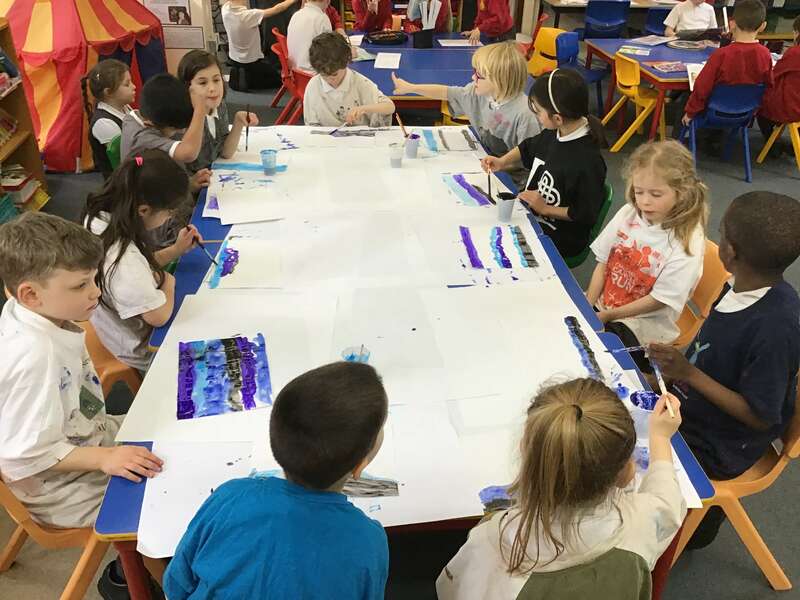 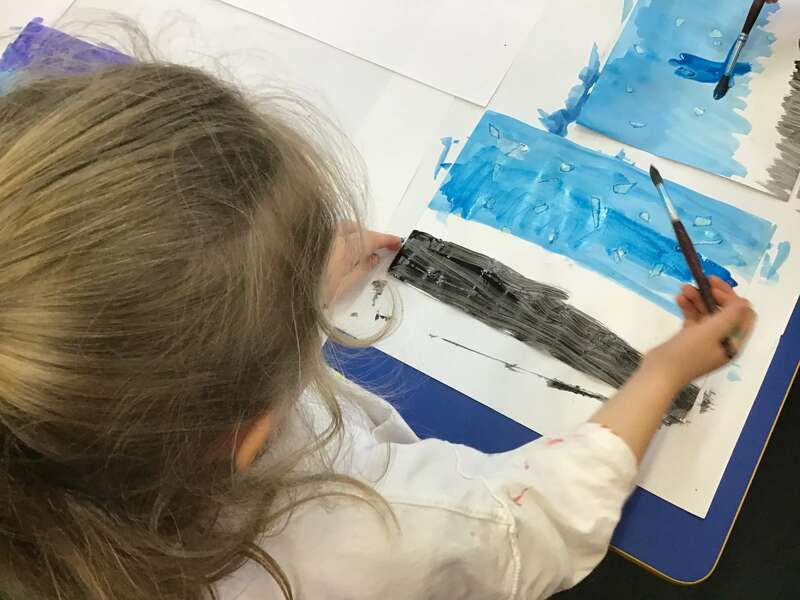 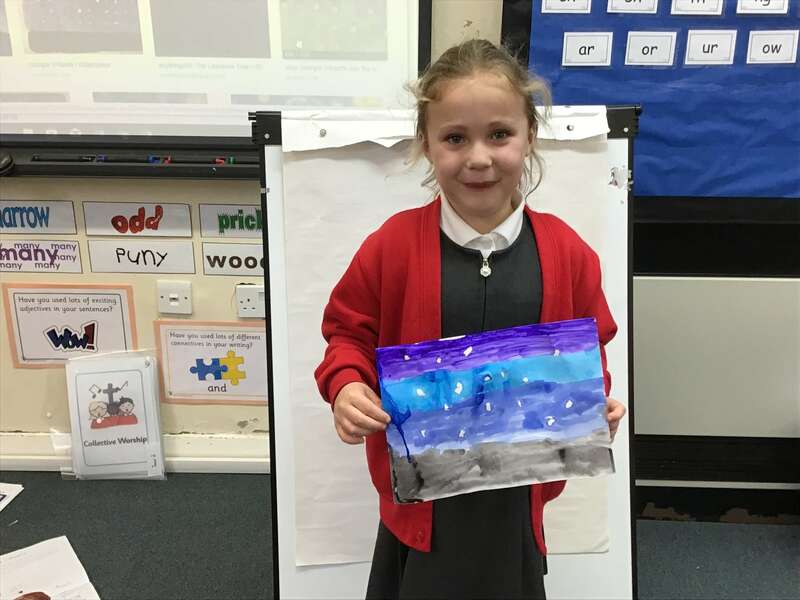 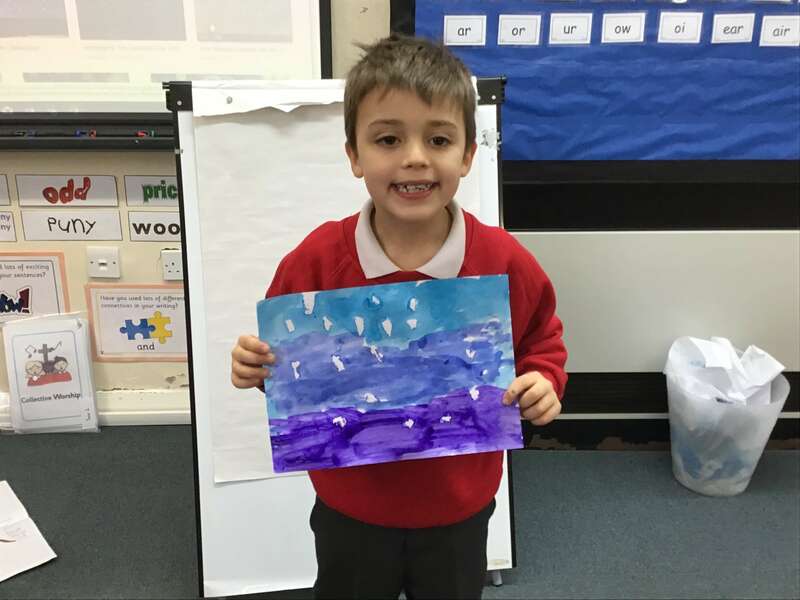 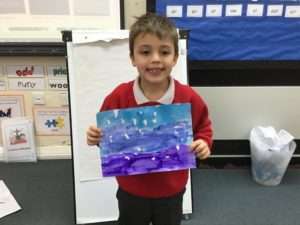 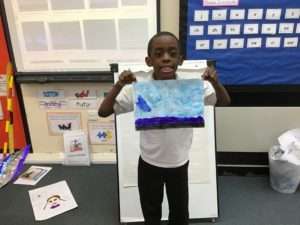 Children focused on using paints to make an abstract painting of the stars at night. WHO IS SHE AND WHAT IS SHE FAMOUS FOR? Born in 1887, Georgia O’Keeffe was an American artist who painted nature in a way that showed how it made her feel. 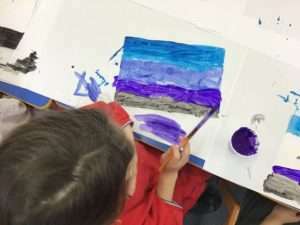 She is best known for her paintings of flowers and desert landscapes. She played an important part in the development of modern art in America, becoming the first female painter to gain respect in New York’s art world in the 1920s. 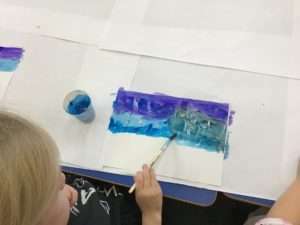 Her unique and new way of painting nature, simplifying its shapes and forms meant that she was called a pioneer.